Bankio is Dashboard admin template for Banking and Cash statements. Bankio comes with mega menu and setting. 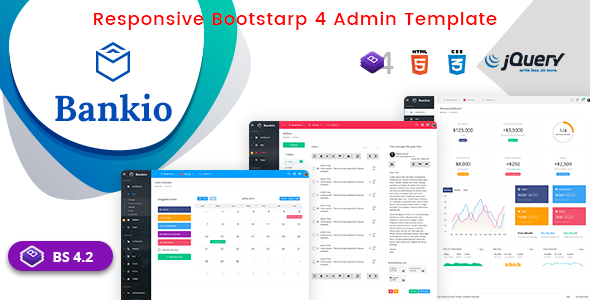 A fully responsive admin dashboard template built with Bootstrap 4.2 Framework, modern web technology HTML5 and CSS3. Lightweight and easy customizable which is basically designed for the developers who want to customize it.